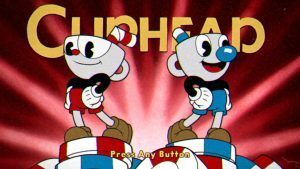 It has been many years in the making but one to two players can now take control of Cuphead and/or Mugman and shoot their way through this colorful adventure. It has been over five years in the making, but the 1930s cartoon-inspired videogame “Cuphead” finally released Sept. 29, and I decided to see if this beautiful game is as good as it looks. Cuphead is one of those games that I have heard about for years, but honestly, I was never sure if I would get to play it. While the game visuals look amazing, it is only for the Xbox One and the PC, which are two systems that I do not game on. However, I am happy to report that the game has very low system requirements; my cheap outdated laptop runs it without overheating. Cuphead is a 2-D action platforming game, similar to the old “Mega Man” games for the Nintendo Entertainment System, but with an incredibly slick cartoon presentation. The game has simple mechanics: players move, jump, and shoot. While the game is difficult, it is not terribly punishing. Stages only last around two to four minutes at most, and if you die, you can try again without penalty. Since deaths are not a huge deal and stages are short, the game drives you to want to keep retrying failed stages. Carla Bonora, a 30-year-old gamer, has found the game to be difficult like many people, but is still driven to keep playing. “I’m not good at it, for sure, but I look forward to the challenge,” Bonora said. Her thoughts are like many other players’, since the game has gotten great word of mouth and broke into the top five on the sales charts for its release. “Cuphead”’s stages are split into three types: Boss stages, which take up most of the game’s stages and pit players against a fearsome opponent; Run and Gun stages, which play more like a traditional level in a 2-D platformer; and Plane stages, which play more like a “Shoot ‘em Up” game, with players again fighting bosses. That aside, the game has over 20 stages for only $14.99, but how long the game actually lasts depends on your skill level and how long it takes to adapt to the difficulty. However, the stages that the game does have are varied. While a bunch of boss fights might sound repetitive, no two battles are the same, and each has multiple phases. Some bosses require players to hone their platforming skills while others force players to learn to dodge projectiles in a bullet hell style. Each stage is fun and different, which is good because I spent a lot of time on several of them. But learning the right patterns to swerve between projectiles and find the right windows to shoot the enemies is very rewarding. Besides gameplay, the game also has impressive visual and audio aspects. The game was made to look like a 1930s cartoon, and it accomplishes this well. Like old cartoons, the game featured watercolor backgrounds with vibrant animation cells put over them, and every part of it looks wonderful. This is what drew me and many others to the game. It really feels like you are playing a cartoon. This can be a slight problem though, as I have found myself dying just because I took a moment to admire some of the art. If there is anything I can say might be a problem, it would be that this game is not for those who are easily frustrated. If you want an easy, relaxing game, do not look here.